TeamTrak recognizes the need for proper venues to host TeamTrak tournaments, serve as regional bases for TeamTrak teams and provide year-round centers for cycling events and programs. While there are some 80 indoor velodromes in nearly 40 countries that are adaptable to host TeamTrak tournaments and seasons, we have developed a model for the most appropriate production studio and fan-friendly venue capable of properly showcasing TeamTrak’s highly entertaining model. 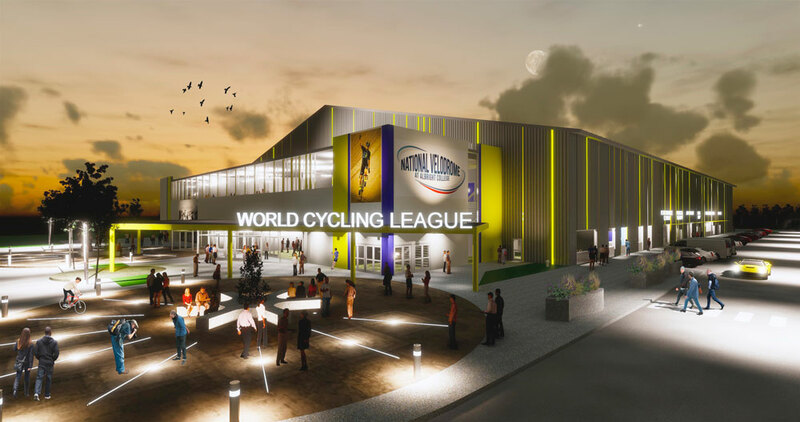 We define this model as “a financially viable, modest sized multi-purpose arena with cycling as its major activity”. 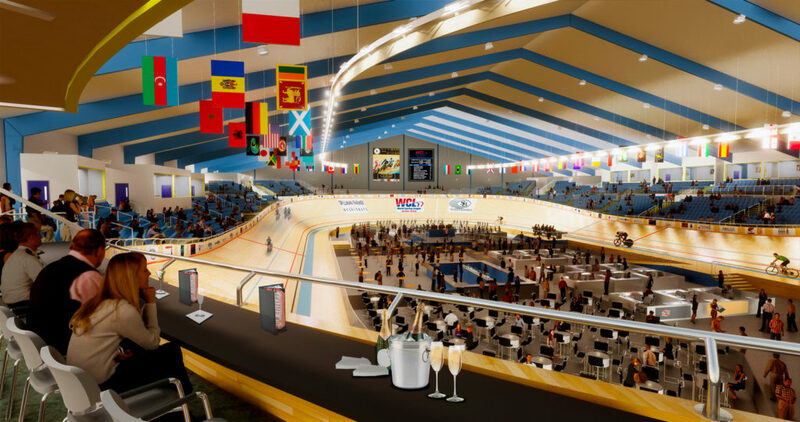 Every new NVSECC will feature a 200-meter world class velodrome, state-of-the-art sound, lighting, scoreboards, live-streaming video capability and home base for a TeamTrak conference. The infield is adaptable for many uses including a beer garden for TeamTrak tournaments, courts and stages for a variety of sports, concerts and special events. And the building provides additional space for appropriate retail, medical/training services, conference rooms and dining. While each NVSECC is a separate real estate development partnership, TeamTrak provides development and design services, operating plans and inclusion in a future network of facility franchises. 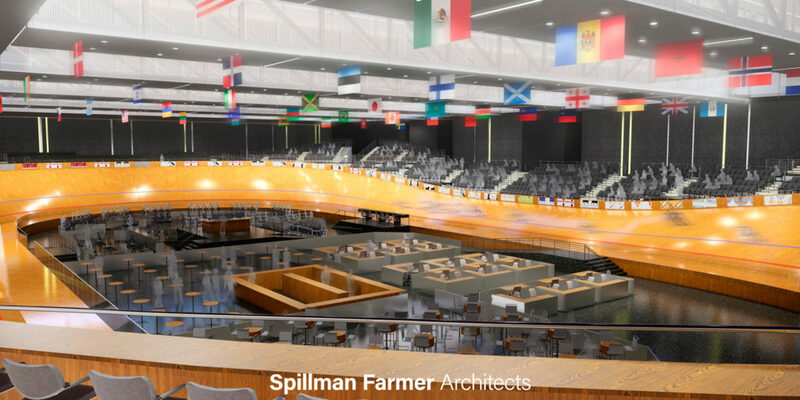 Two such NVSECC’s are currently underway in SE Pennsylvania and New Haven, CT, in part through relationships with non-profit entities, the National Velodrome Foundation and CycleHaven respectively. NVSECC plans are adaptable for stand-alone construction or for renovation of an existing big-box retail store. Contact us for more information and sign-up to stay informed of future news and developments! 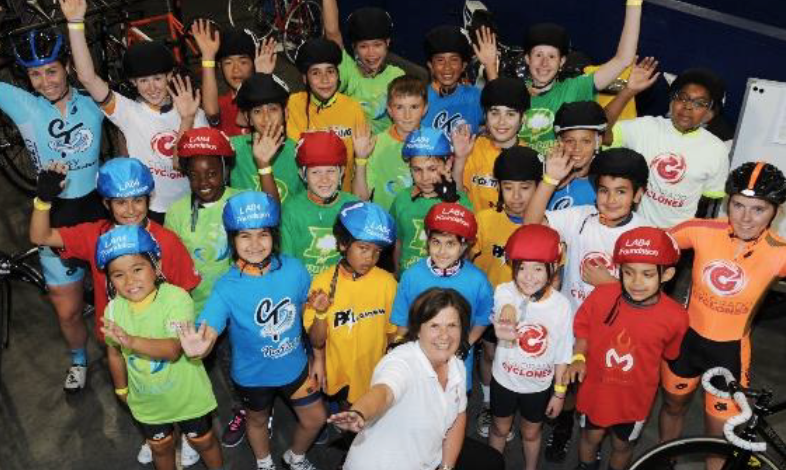 Velodrome Development Foundation (VDF) is a not-for-profit corporation to support the development of the National Velodrome and Events Center and the sport of track cycling for the benefit of youth, amateur cyclists, local students and the Greater Reading and Berks County community. 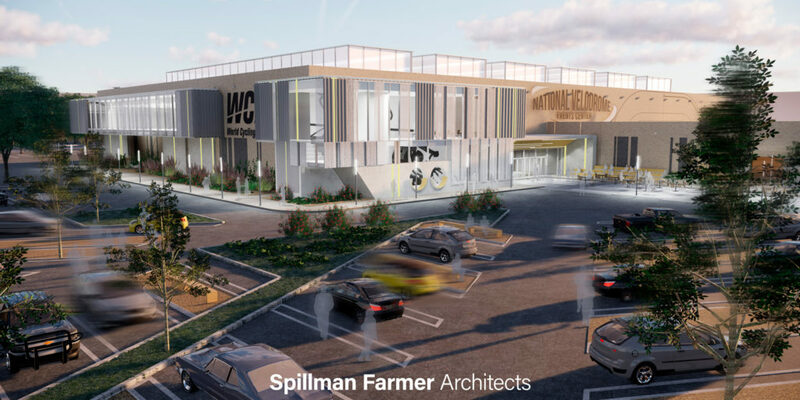 View or Download our Velodrome Development Foundation Informational PDF for more information and feel free to contact us to learn more!